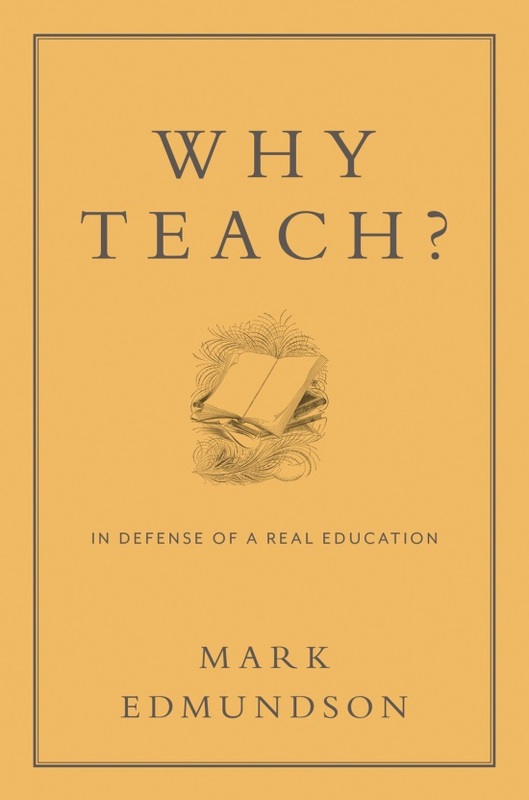 Filed Under Edmundson, Mark Edmundson, On Teaching, Pedagogy, Universities, Why Teach? Mark Edmundson calls education “soul-making,” repeatedly employing religious rhetoric to impart the power of education to transform the individual who embraces it. While that’s terrific for those who see it on those terms, it is overly idealistic to imagine that most do or will. Most students are looking to change themselves, just not in terms of their souls or their passions. Most students are looking to advance socioeconomically. Edmundson knows this, but dismisses it by saying they shouldn’t worry about that. Fifty percent of undergraduates are first-generation college students. The great majority of these students are hoping the college degree will provide passage to the middle class. Edmundson’s own admission into Bennington and then Yale designated him, although he seems not to be as aware of it as he might be, one of the chosen. Those are elite, highly selective colleges that provide a range of opportunities for their graduates. However, by far the great majority of American college students do not attend these types of universities. Graduating from these schools does not ensure economic success or even a first job. Students who attend these schools are concerned for their future and college graduation marks one of the hurdles toward a potential better future. Edmundson too readily dismisses the concerns of these students and their families and argues for the mission of an education—especially an education in the humanities—to be a transformation of the self under the tutelage of an engaged and enlightened professoriat. When I began teaching at St. John Fisher in Rochester, NY, I felt much the same way. St. John Fisher was founded as a Catholic college for men about 65 years ago and most of the students at its beginning were local ethnic Catholics who could not afford or were not gaining admission to the city’s major university. Nowadays, the college’s reach is a little broader, but most of my students know little beyond the world of Western NY. After graduation, they plan to continue to live and work in this region. The college provides a useful service: an education for students who do not get into elite, highly selective colleges. (In fact, most American colleges are like mine in this way.) When I began here, I was much like Edmundson, preaching the value of a humanities education in opening up how we can see and understand the world. This is something I still believe in, but I have to admit that the longer I have been here, the more I have come to see this notion of education as somewhat selfish. I have a great deal of empathy for my students’ lack of cultural capital and I value my role in engaging them in great works that challenge them and test their ideas and experience. But only a few of my students are invested in humanities courses. My students are extremely concerned about professional placement and a good percentage of them are willing to go into debt to pay the roughly $40,000 to attend each year, with room and board. While the college saw enrollment growth in the last decade, student interest in the humanities has flagged significantly. Our growth is driven by interest in the sciences and in pre-professional programs in business, nursing, education, and pharmacy. In response, those of us who teach in the humanities have searched for ways to communicate to students the relevance of our material to what they might like to pursue in their careers and lives. To be frank, it is an ongoing struggle to convince students that the work we do in fostering critical thinking, strong writing and oral communication skills, ethics, and textual analysis will play much of a role for them when it comes to their lives. They tend to take these courses because they need to fulfill core curriculum requirements, and it is very hard to bring them on board as majors or even minors. Edmundson might frown on these attempts to reach out to students on these terms, a capitulation to the corporatizing of the undergraduate education. But my students’ concerns about jobs are real. They live in an area that has been economically depressed for twenty years. The value of the skills they develop in humanities courses can help them. I often suggest that I am helping them develop the skills for career advancement, not only helping them locate a job. I cannot treat my students as if they are graduating from an elite school and that they will have a range of career options available to them when they finish, because for the most part they just will not. I need to locate a pedagogy that seeks to inspire my students in the way that Edmundson argues for, but that also respects them and their needs. When I speak to students upon their entrance to college, I point out that our community changes dramatically every year—that about a quarter of our population turns over—and that this provides an opportunity for them. “Who are you?” I ask them, and “Who do you want to be?” “How will you change us? What will you bring to our community?” Like Edmundson, I value transformation, but I want it to go beyond the self. I want them to think about what it means to be a member of a community and a citizen in a society. I want my students to transform their communities into more equitable, more socially engaged ones, ones that allow for difference and welcome it, ones that encourage both opportunities and responsibilities. I don’t want to dismiss my students’ concerns and their fears; instead, I want to help them think to how those concerns speak to larger social and economic issues and how they might engage those issues from whatever career they imagine for themselves. I want to engage these students in a question that differs from Edmundson’s question of what we professors will make of our students. In its place, I want to ask what will they make us—in the college, in the region, in the country? 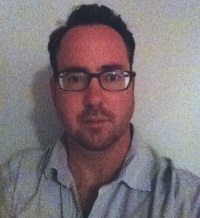 Stephen Brauer is Associate Professor of English and American Studies at St. John Fisher College. He previously held the positions of Associate Dean of Arts and Sciences from 2008–2012 and Associate Dean of First-Year Programs from 2004–2008. He teaches courses focused on American literature, American culture of the twentieth century, Modernism, the Harlem Renaissance, and cultural theory.